In the last 15 years many books have been published dealing with the subject of World War II Nose Art. 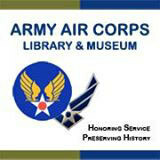 The following is a list of the books we know of on this subject that include at least some B-17s. Published photographs of 301st BG Nose Art are especially rare. Not many will be found in these books. If a visitor to this website spots a 301st BG or former 301st BG aircraft in one of these books (we haven't searched them all) please contact us with the edition, page number, aircraft identity and other details! If you know of any other titles dealing with B-17 nose art or postwar 301st BG/BW B-29/KB-29/KC-97/B-47/KC-135 nose art drop us a line. Also if you find any magazine articles on the subject dealing with 12th and 15th AF B-17 nose art or the later 301st aircraft let us know! A full list of known 301st BG B-7 nose art names and aircraft identities is found at the link at the bottom of this page. Aircraft Nose Art FROM WORLD WAR I TO TODAY by Jeffrey L. Ethell & Clarence Simonsen. Formerly called The History of Aircraft Nose Art Motorbooks International, 2003 edition, ISBN 0-7603-1369-5, 192 pages. 200 b&w, 200 color illus., originally 10-1/4" x 10-1/4" hardbound and about $29.95 when it was available in 1991. It seemed to major on the Vargas girls artwork mostly. 2003 edition softbound and seen priced at $19.95. B-17 Flying Fortress NOSE ART GALLERY by John M. & Donna Campbell 96 pgs., 350 b&w, 20 color illus., 9" x 10-1/2" softbound $15.95 since at least 1993. Fighting Colors: Glory Days of U.S. Aircraft Markings by Robert F. Dorr Osceola, Wisconsin: Motorbooks International, 1990. PLANES, NAMES & Dames, 1940-1945 VOL. 1 by Larry Davis 64 pgs, 200+ illus., 8-1/2" x 11" softbound, $9.95 Carrollton, Texas: Squadron/Signal Publications, 1990. SHARK?S TEETH Nose Art by Jeffrey L. Ethell, 128 pages, softcover, 117 black & white photographs, 72 color photos. Two ISBN?s seen: 0879385847 (Osceola, Wisconsin, U.S.A.: Motorbooks Intl, 1992, First American Edition ) and 1-85310-380-2 (Shrewsbury: Airlife Publishing Ltd., UK 1992). Book measures 9" x 10 1/2" and has index. It covers shark's teeth on 60 types of aircraft--American, British, German, French, Australian, & six other countries. The text traces the history of this art form WW1 through to the latest combat aircraft. Said to be the first book devoted exclusively to a single genre of nose art - the fierce faces and slashing teeth painted on aircraft such as biplanes, P-51 Mustangs, P-38s, P-39s & P-40s as well as B-24, B-25 & Lancaster Bombers right through to Korean war & Vietnam examples. Talisman - A Collection of Nose Art by John M. and Donna Campbell, ISBN:0887404146, 258 pages, 690 photos,155 in color. Schiffer Publishing West Chester, PA 1992. TALISMAN (tal'is men) [Fr. < Ar tilasm, magic figure, one with the power to avert evil; Anything thought to have magic power; a charm.] This new collection shows the various "good-luck" figures and symbols as featured on B-17s, B-24s, B-25s, B-29s, P-40s, P-51s as well as foreign aircraft in US markings from all theaters of World War II and Korea. Most of these photographs are published here for the first time, and express the whims and thoughts of crew members as they try to represent in nose-art a shield against bad luck - namely, enemy actions. As in their previous work, WARPAINT, John and Donna Campbell have culled the most unusual, outrageous, and prophetic nose-art from their many years of collecting aviation history in photographs. 9? x 12?, glossy page stock. Vintage Aircraft Nose Art by Gary M. Valant. 208 pgs., 908 black & white and 118 color photos. 10 3/4" x 12 1/8" tall hardbound (ISBN:087938266X) 1987 edition Motorbooks International, Oseola, WI, 1st reprint 1989. (ISBN:0760312087) Motorbooks International, 2001 Applied by amateurs or professional artists like Vargas, the art typically featured alluring women whose charms belied the deadly cargo the crew hoped to deliver to its targets. Hundreds of examples are shown in a combination of archival photos from the wars and current photos of artwork in museum collections. This a record of the unique American art inspired by the air combat of World War II and the Korean War--an art borne from pin-up posters, Vargas girls, Mickey Mouse, etc. Collected by Gary M. Valant--a photographer turned art historian. It was bound in textured black boards lettered in gild. World War II Nose Art in Color by Jeffrey L. Ethell (ISBN: 0879388196) Motorbooks Intl, Osceola, Wisconsin, 1993. 96 pgs., 80 color illus., over 7¾" - 9¾" tall. Reported available in both soft cover and hard cover.